Fill out the Contact form below and we will be in touch as soon as possible. We make every effort to offer affordable medical and boarding services along with competitive pricing on all products, prescriptions and pet food that we offer. We accept Visa, MasterCard, checks, and cash. Prompt payment for services and products is due at the time of service and/or when products are picked-up. 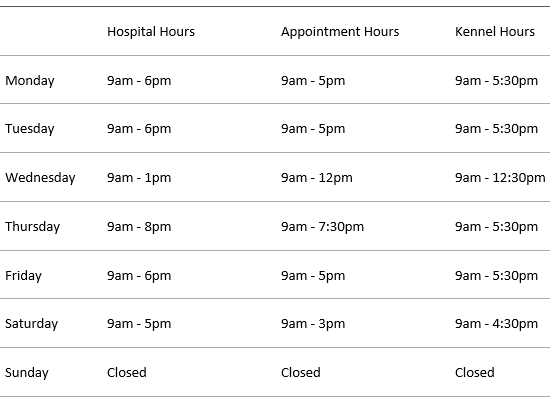 Feel free to contact us during our hospital hours if you would like to schedule an appointment.